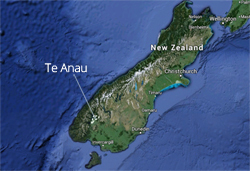 Te Anau may be on the edge of wilderness, but we have perfectly good internet connections, otherwise we wouldn't have been able to build this website! There are plenty of places where you can access wi-fi around town, or sit down at a computer. Te Anau Photo Centre has computer terminals. There are also free computers and wi-fi at the library. Some of the cafes also have wi-fi; just ask. 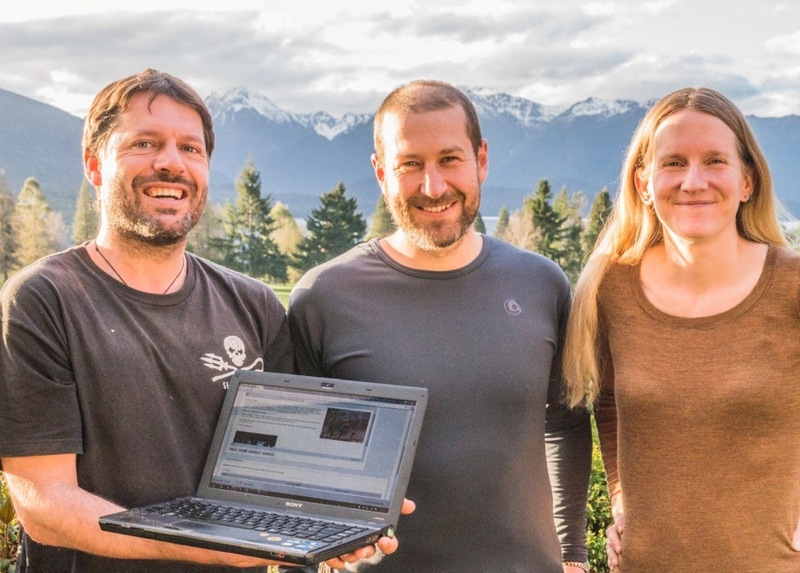 Here's a picture of the trusty Sony lap top that wrote this website, pictured with the three authors (for more information about us see our About Us page). And yes the picture is taken right here in Te Anau and the view in the background is our beautiful Lake Te Anau and Kepler and Murchison mountains.